A quality free-standing photo frame, can be displayed in either landscape or portrait orientation, offered with free engraving. These single picture frames are sized to hold an image 8in x 10in. 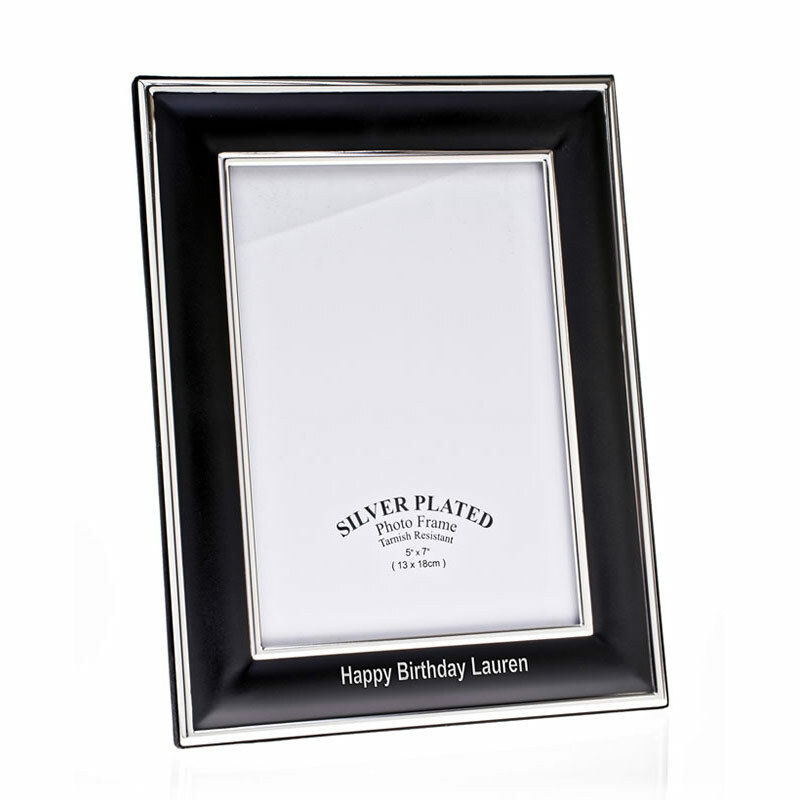 They have a non-tarnish black and silver plated border that is ideal engraved as corporate gifts or achievement awards. We offer these frames with free text and logo engraving along with bulk order discounts.